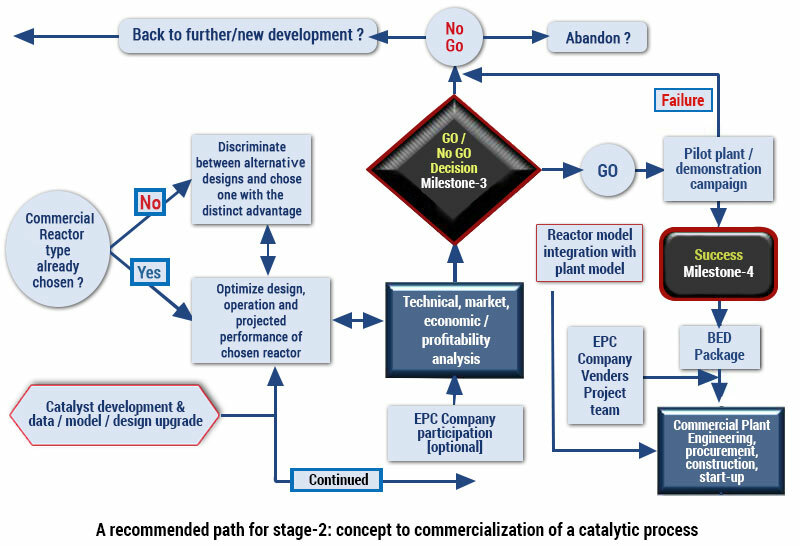 Due to our combined background and experience in concept validation, reaction engineering, detailed design of reactors and auxiliary systems, modeling and simulation and process engineering we can help you in your next venture. And, we can do it with our services during the entire process from the Concept to Commercial or for only the step(s) specified by you. 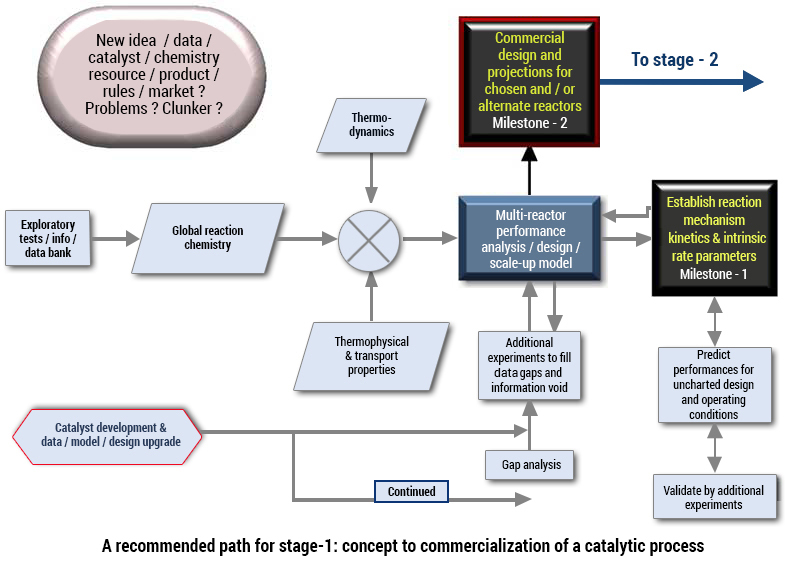 Process Economics: Got idea, data or new chemistry? Let us show you if and how you can commercialize it. We will do the complete Techno-Economic and Risk Analysis and let you know if it makes sense either as a competing or an emerging technology.